We used a Polycell Basecoat paint that really helped cover up the minging pink ceilings etc, managed to find it online from Wilcos for half the usual £32, so it's worth shopping around for, and it covers up hairline cracks too, and bumps, very helpful! Navy?! Ay-ay. Good luck – it'll go white eventually. Great bag! I'd love a wee version for Christmas parties. Oh my flat had navy gloss work – WTF!!?? 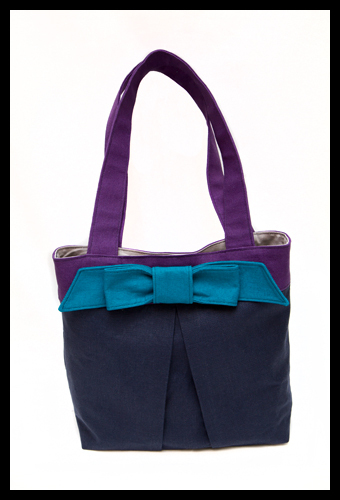 What a stylish tote! I love how you play around with sizes. great bag, how do I get on your Christmas present list? Brilliant first line of the post!!!! How mini is the mini one — is it a teddy bear's purse? 😀 The original is pretty small! The purse is lovely, good luck with the painting. Good luck with the painting, sounds like it will not be a quick cover-up!